USS LCI(L)-553 lands troops on “Omaha” Beach, during the initial D-Day assault, 6 June 1944. This LCI(L) was lost during this action. National Archives image 80-G-421288. This self-published book consists of two separate accounts concerning Captain Lindsay Henry’s service in World War II. The first 80 pages contain an account by Captain Lindsay Henry of his naval service from 1941 to 1945. The second part of the book contains a biographical sketch of the author by his son, Captain Thomas Henry. Captain Lindsay Henry was a lawyer who returned to active duty in the Navy in 1941. After a number of shore jobs, he managed to have himself assigned to the U. S. Navy’s Amphibious Force. Following a period of training, he was promoted to command Landing Craft Infantry Group (LCIG) 34, which consisted of 12 LCI(L)s. His flagship was LCI(L) 408. As he prepared his Group for passage from the United States to England, a Medical Board found him unfit and he was ordered ashore. The means by which he overcame this real medical disqualification must be read to be appreciated. He sailed for England in February 1944 with ten of his boats as part of a convoy. His boats were detached from the convoy at the Azores to sail on their own to England. His plan on how his Group would confront a U-boat had some of the LCI(L) attacking and the rest fleeing. He and his ten boats, however, arrived in England without encountering a U-boat. Later his two remaining boats joined up with the Group. On June 6, 1944, LCIG 34 landed a portion of the U S Army’s 29th Infantry Division on Omaha Beach. Captain Lindsey Henry’s flagship suffered a number of hits and lost one man killed, while LCI(L) 553 was destroyed by German gunfire. 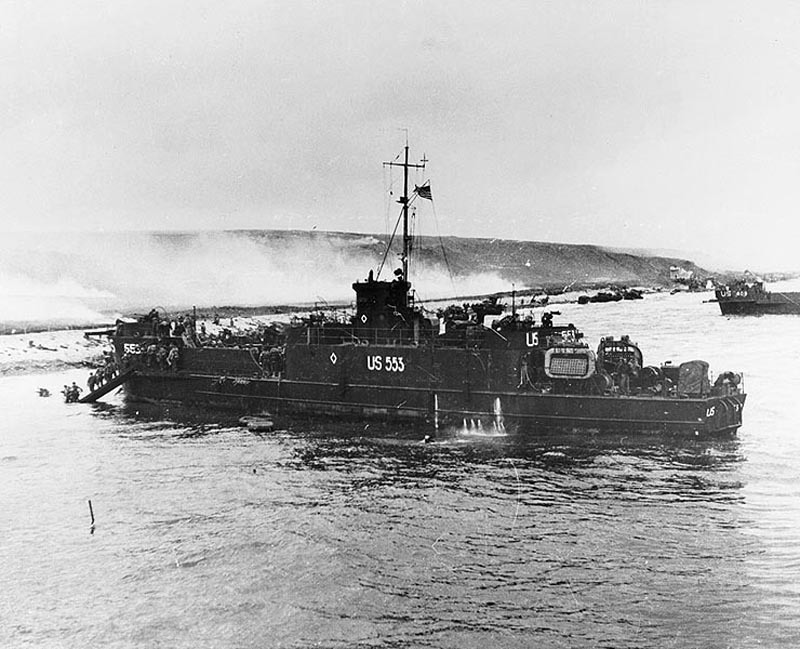 Following the assault landing, LCIG 34 made a number of shuttle runs from England to Normandy bringing in fresh troops and evacuated wounded and prisoners of war. Later they were assigned to ferry service on the Seine River. In June 1945, LCIG 34 sailed from Europe for the United States. In telling the above story, the account suffers from a lack of dates to place various actions within a set time frame and occasionally wanders from the wartime naval story to touch on other matters. Having said this, I found his tale of his wartime duties of great interest and a nice addition to the literature of the amphibious Navy. The second portion of the book is an account by Captain Thomas Henry that fills out the firsthand account written by his father. Using wartime letters, personal remembrances, and accounts from friends, he provides the reader with background on his father’s pre and post war service as a lawyer and District Attorney in New York. Among his pre-war cases, he served as prosecuting attorney against Fritz Kuhn of the German American Bund. Within this biographical sketch are letters his father sent to his wife while in the Navy. These letters, along with copies of naval documents, help to flesh out our understanding of who his father was. One should read this section first before reading the autobiographical account as this will allow you to set this wartime adventure within a time framework. The book is a nice addition to the field of firsthand accounts of how the Navy landed the Army on the shores of Normandy. 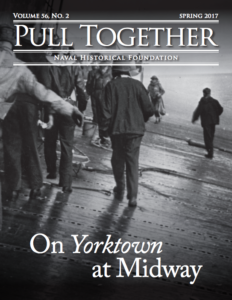 Those interested in this naval campaign will enjoy the book. 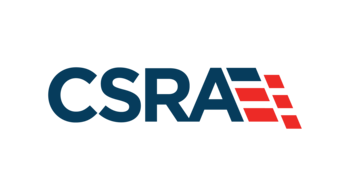 Charles H. Bogart is a frequent contributor to Naval History Book Reviews, and was named a 2011 Naval Historical Foundation Volunteer of the Year.